You have fallen in love. Of course, you have! The misty hill station of Coorg with its gentle, cool breeze, laden with the aroma of rich spices and fresh berries of the coffee plantation has you dreaming of settling in the serenity forever. The abundance of organic produce, simplicity of life of the locals, and having your head, literally, in the clouds, your feet amidst cascading, lush greenery, and your hands warmed by the perfect cup of coffee, makes you wonder, if this little piece of heaven exists anywhere else - probably, does not. But, luckily, you don't have to sulk on your way back home, because Coorg offers you the best of its bounty on a platter for you to take home. From freshly plucked oranges to gorgeous silks, all the sensory and materialistic pleasures of Coorg that charmed you are up for grabs. Just loosen your purse strings, bring on that smile, and put on your bargaining hat! Welcome to shoppers paradise! Read on to know about shopping in Coorg. Did you know Coorg is known as the "Coffee Cup Of India", Grown carefully in the shade of trees, at high altitudes, the coffee produced here in the plantations tastes mild, aromatic and full-bodied. 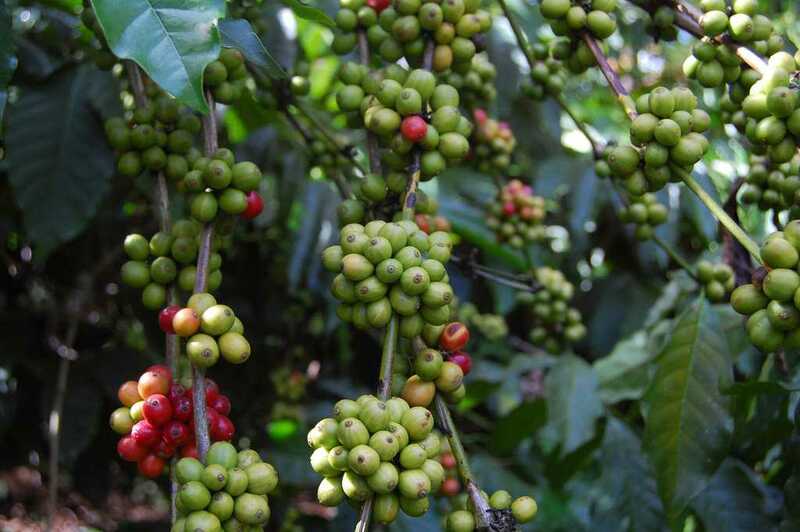 Not only has Coorg begun to produce the world's costliest coffee - 'civet coffee', it is also a prime exporter of both - Arabica and Robusta - coffee beans, making coffee the top item that people buy when shopping in Coorg. If coffee is your raison d'etre, you have hit the jackpot! Where to buy: Dried and powdered or freshly-roasted organic coffee is widely available across estate run and individual stores here. Being an agricultural settlement, blessed with the bounty of nature, the expansive plantations of Coorg produce an eclectic mix of natural spices and dry fruits. Famous for aromatic spices and herbs, while shopping at Coorg, you can indulge in replenishing your supplies of cardamom, black pepper, white pepper, clove, mint, cumin, oregano, sage, basil, thyme and rosemary - all of which are available at a one-stop-shop in Madikeri. The assortment of dry fruits offered consists of cashews, raisins and figs. Where to buy: There are plenty grocery stores, a couple of good supermarkets such as Stop N Shop, Spice Palace and Coorg Avenue Super Market, speciality stores and streets, and flea markets. Most of these are located in proximity to the bus stop or the train station. The Friday market, set up about 20 minutes from Coorg Railway station, is the best place to buy fresh produce and spices, and experience an influx of tourists and locals in throngs, unless that scares you - in which case the Madikeri market right opposite the K.S.R.T.C bus stop should suffice. While you may not consider buying crates of the fruit to take home, the succulent and flavoursome Coorg oranges will certainly prove good company during your stay. And what you can carry home bottles and bottles of, is honey, Agmarked and manufactured as an undertaking of the local government. Created by nature in the coffee and spice plantations pregnant with aromatic blossoms, the honey produced here is not only organic but, also, known to be the sweetest of all varieties making it to the list of must-buy items when shopping in Coorg. The best way to end a day of shopping in Coorg, is to, perhaps, throw your feet up and gorge on sweet treats, delicacies, and some of the most exotic homemade wines. Yes, notoriously delicious and easy-on-your-pocket, handmade wines! Wine here is made not only from grapes but from all that you can imagine tingling your taste buds - ginger, pineapple, apricot, passion fruit, gooseberries, litchi and more. While the wine's got your tongue wagging, don't forget to buy bags full of your wine accompaniments - the deep fried Kajaya and a local delicacy Chikalunde. A rage among tourists is the assortment of local, handmade chocolates, known to be silky and melt-in-the-mouth - a definite hit among the friends you gift it to. The locals - the Kodava people, need more than just wine to sustain the gusto and might needed for the upkeep of their fertile land. The key to their buoyant appetites and spirits lies in 'Pandi Curry', made with pork, with a recipe intricately crafted over generations. Replicating this wonder in your kitchen is no mean feat, so you might as well satiate your greed at the plenty, local restaurants serving this dish. However, if you want to try your hand at the dish, you are in luck, for two key ingredients of Pandi Curry - pork masala powder and the kachampuli paste - are readily available across the local grocery stores, and makes an interesting addition to the list of things to buy when shopping at Coorg. If you find yourself intrigued by the demurely draped saris, or the 'Kodava attire', on the local women, think no more, buy one. Gift it, wear it, or just adore it. The lavish brocade and silk saris are a special craft of Coorg and are a steal. Available in vibrant colours, the sari, embroidered in subtle gold, is paired well with gold ornaments or worn without adornments, for its beauty shines through nevertheless. Also, if ornaments excite you, you must scout the markets for the Pathak bridal jewellery and the traditionally designed Kodava jewellery, and ensure the gold is Hallmarked. The Kushalnagar market is a bustling area that would take care of most of your gifting needs when shopping in Coorg, including the much-talked-about wines and coffee. While you are here, don't miss out on the wide variety of aromatic and therapeutic oils that promise to heal and uplift your senses and body. And, if you are lucky enough to spot bottles or packets of Koli Meen, pork or chicken pickle on a shelf, grab the lip-smacking pickle without hesitation; it is a favourite among locals and tourists! In contrast to Kushalnagar, the Tibetan market presents a lot more intriguing opportunities for innovative souvenirs and gifting - from Tibetan jewellery to artefacts and Thangka paintings. This market is bound to leave you wide-eyed, and a little broke if you don't bargain well but want to buy all the irresistible baubles. It would be wise to reach your market destination by dusk as most markets in Coorg begin to down their shutters by 8:00 PM. Phew! That is a truckload of gastronomic pleasures, some bottled, others gulped. Not reason enough for you to get going on a shopping spree in Coorg? Oh yes, the tummy's grumblings are audible!